KGN TECHNOLOGIES is HP's storage works Gold Partner and is well trained on all Data Management Services which include Training, Backup and Maintenance. Initial data management which will be useful in workflow of hospital management process is being managed. We have highly skilled and talented data management teams to collect, clean and standardize your business-related valuable information. - Data is one of your organization’s most valuable resources. When fully leveraged, it will help your organization control costs, understand your customers and the market and, ultimately, improve your bottom line. ALR’s agile, cloud-based data management solutions provide that leverage, taking your data beyond basic integration and turning it into insightful and actionable information. Quality data is a prerequisite to every business process, and for virtually better decision making across all levels of the organization. Therefore, organizations need to invest in better data management. 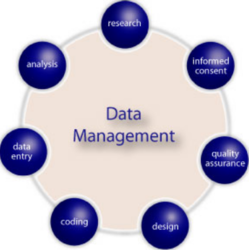 ClinFOX Data Management Services provides the full range of services for the various stages of the trail from planning to analysis by collecting and handling data-management needs of our clients in each stage. Get the desired skill of managing the data for ensuring a smooth flow of business operations. Trust us for all of your data management needs and requirements. Microseismic monitoring during hydraulic fracturing delivers information on progressive fracture growth and the subsurface response to pumping variations. Seismic and geophysical services for enhanced reservoir characterization and monitoring throughout the life of the reservoir—from exploration through enhanced recovery.